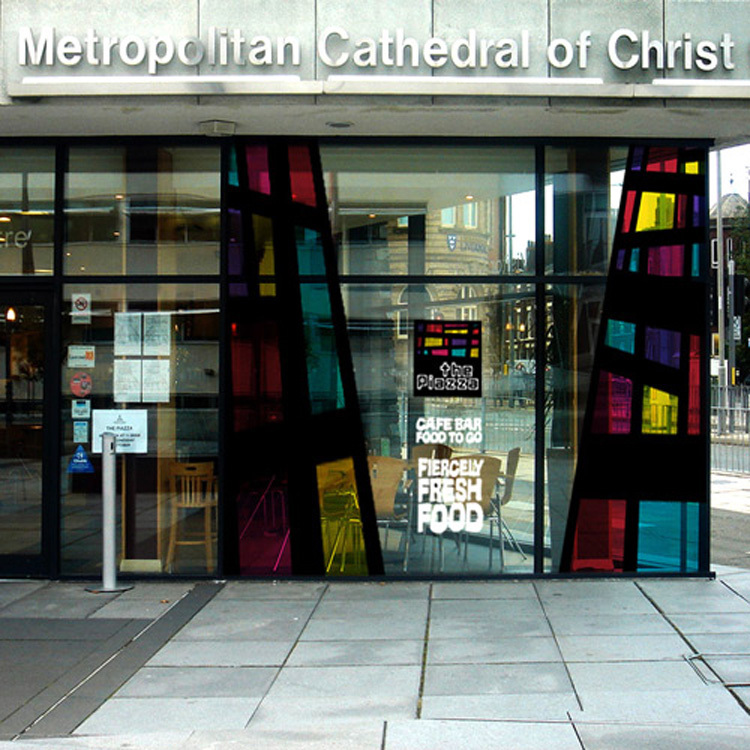 The Piazza required a brand that reflected its prime location at Liverpool’s Metropolitan Cathedral. 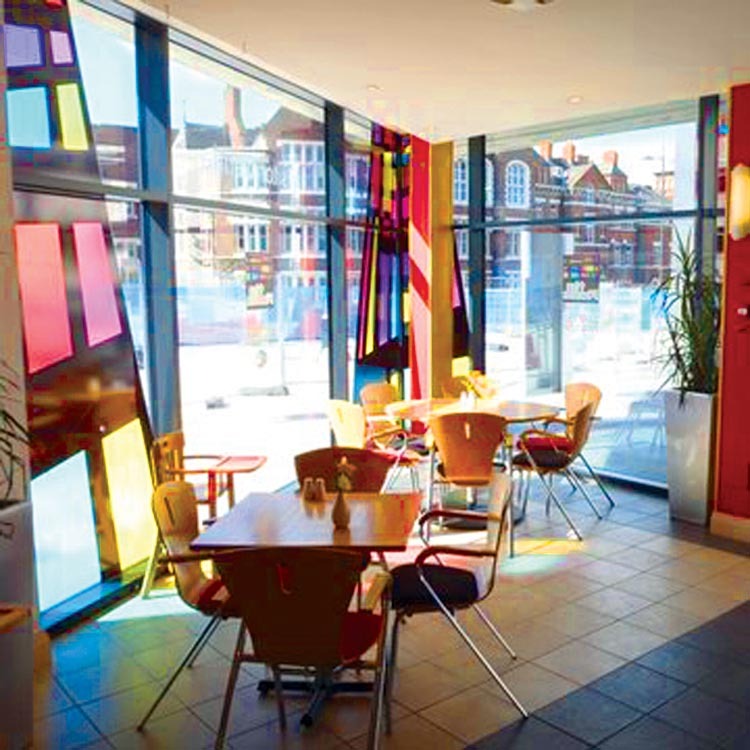 We used this as inspiration, sampling the striking colours and bold frames of the stained glass. These became an an integral part of the logo which we deconstructed and used elsewhere for large window decals and interior details in the restaurant.